The town's name is entitled in honor to San Remigio. Municipality located at more than 1600 meters altitude, is the last town of the Valle del Gran San Bernardo, on the border with Switzerland. It is composed of the two villages: Saint Rhemy and Bosses, built on the site where a Roman "mansio" was situated, a place where travelers and soldiers would stop at to restore, during their passing through the Alps. Its perfect location on one of the major arterial roads of Europe has seriously influenced its history. Known for the ferruginous water of the source Citrin, which flows from the fountain located in the village square, and the Jambon de Bosses, a culinary specialty to which an annual festival is dedicated. The town is devoted to tourism in Winter with its ski resorts of Crevacol, that feature over 22 miles to Alpine skiing and snowboarding tracks, whilst in Summer, the area offers many hiking trails is of natural interest, such as the Alta Via n.1, or historic interest, such as the Via Francigena. Between 3000 and 2500 B.C., in the Neolithic period, following the melting of glaciers, the first inhabitants settled in this area by using the pass of Alpis Poenina to trade their goods with the nearby Wallis, inhabited by Veragri. The discovery near the church of Saint Rhémy of skeletons from this period confirm these theories. The area, in prehistoric times, was inhabited by the Salassi (an ancient Celt population) . Even the Romans used this pass as an important access route for the rapid passage of the troops destined for great campaigns and built here soldier camps and shelters. Saint-Rhémy became a "mansio" (border post) called Eudracinum. With the fall of the Roman Empire from the VI to the X century, the territory was ruled by the Huns, the Burgundians, Lombards, Saracens and the Carolingians, who stayed until the X century. To this followed a period of remarkable calm and peace with a strong jurisdiction of the Counts of Savoy. The Parish Church of San Leonardo in neo-Gothic style was built between 1860 and 1861 based on the location of an existing chapel dating back to the beginning of the XIV century. The current building plan has three naves and a circular apse. The interior was painted in 1862 by the painter Giuseppe Stornone of Ivrea. Both the altar and the furniture are in neo-Gothic style. It also preserves a carved and gilded wooden altar dating from the XVIII century. The Church of San Lorenzo, built in 1784 on the ruins of an earlier building of the early Christian period, has three naves decorated in 1898 by the frescoes of brothers Stornone of Ivrea and of the same authors a painting of the Madonna with Angels and San Remigio placed inside the main altar in Baroque style. It also preserve precious furnishings of the XVIII-XIX century and a wooden baptistery of the XVII century. The Chapel of St. Michael in the village of Artanavaz, built in 1663. The Chapel built where once stood the Hopital de Fonteites, already existing in the XVII century, it was probably rebuilt in the XVIII century. Inside it retains some paintings dating from the XVII century. The Castle of Bosses, built around 1400, which is located near the church of Saint Leonard. In the XII century it belonged to the family of Bosses until 1742 and was refurbished several times. 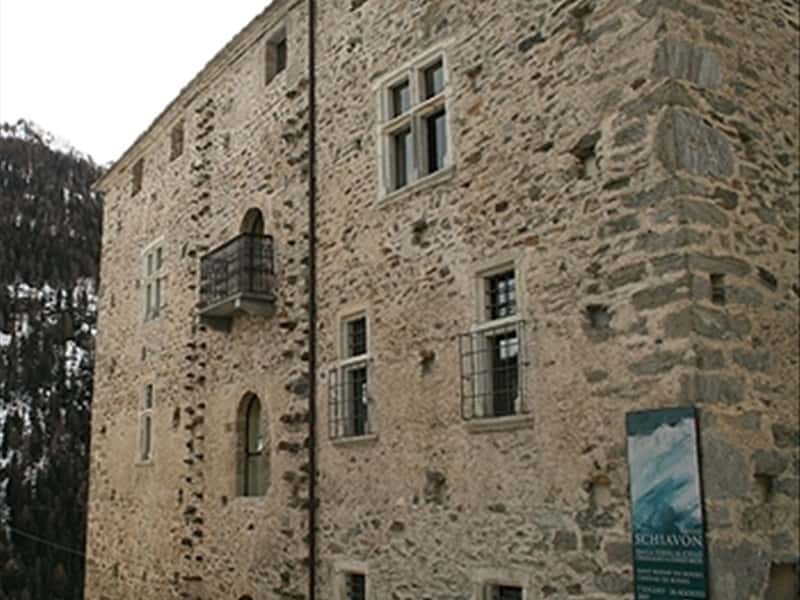 In 1300 the tower was destroyed by order of the Bailiff of Aosta. It features a mighty rectangular frame. The stronghold of Chez Vuillen, located upstream of the village and belonged to the feudal lords of Bosses. This is a complex built in different eras, the oldest part dates back to the XIII or perhaps to the XIV century. This town web page has been visited 14,476 times.